The California Mille 2013 will be staged April 29th to May 2nd on 1,000 miles of secondary roads in Northern California. The rally returns for its 23rd year, continuing the tradition of spirited driving in vintage sports cars on the scenic backroads for which they were intended. The 2013 California Mille will celebrate the legacy of the event’s founder, Martin Swig, a lifelong car enthusiast who loved nothing more than exploring the backroads of Northern California in one of his beloved Alfa Romeo sports cars. His two sons, David and Howard Swig, both of whom are serious vintage car enthusiasts deeply bitten by the motoring bug, will organize the Mille, with the capable assistance of longtime Mille Event Planner Dan Radowicz. The cacophony of wonderful sounds produced by Alfa Romeos, Porsche 356s, Jaguar XK120s, Ferraris, Maseratis, and Talbot-Lagos will again resonate through the canyons of Northern California as approximately 70 driver teams participate in the longest-running North American salute to Italy’s famed Mille Miglia (thousand mile) open road race. The 2013 route will feature a selection of the California Mille’s most iconic driver’s roads and a cross-section of Northern California’s stunning scenery – complemented by stops at luxury hotels offering epicurean delights along the way. Starting with the customary free car show in front of San Francisco’s Fairmont Hotel atop Nob Hill on Sunday, April 28th, the Mille will head north early on Monday morning. An overnight stop in Redding will be followed by Day Two’s challenging and beautiful drive on the hallowed Highway 36, one of California’s driver’s roads. The Mille will return to bucolic Mendocino for its second night on the road, followed by a variety of coastal and inland routes during days three and four with two overnights at Calistoga’s delightful Solage Resort. The 2013 California Mille “Tribute to Martin Swig” promises to be one of the best Milles yet, drawing on the influence and enthusiasm of the man who most exemplified the spirit of “Mille Miglia” in the United States. Entry forms will be available in mid-November and entry will be limited to cars of the type that could have competed in the original Mille Miglia event. For more information, visit www.californiamille.com. What a delightful tribute to such a wonderful individual who made the collecting and most importantly driving of these beautiful and iconic cars a worldwide recognized and celebrated event. 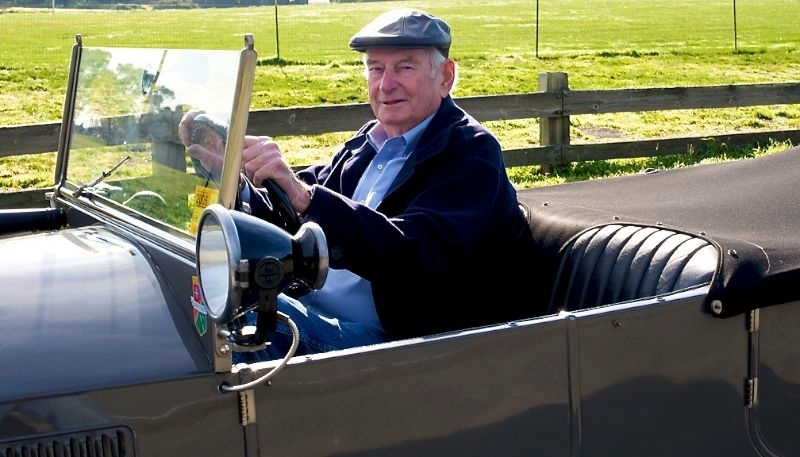 We will truly miss him, however he endures in our hearts and memories, and with the classic car car aficianados and their machines he elevated to such a wonderful stature by his tireless efforts. …and you can be sure that Martin will be along for the ride.